Do you ever think the stories you hear about great trading, and the gains produced, sound like luck? Do you ever wonder if there is a real method and philosophy behind the success stories? 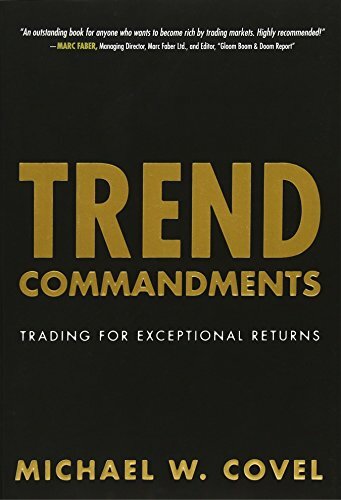 The concepts condensed into Trend Commandments were gleaned from Michael Covel's 15 years of pulling back the curtain on great trend following traders. It is a one of a kind money making experience that forever lays to rest the notion that successful trading is akin to winning the lottery. Winning has a formula, as does losing. Michael Covel nails both head on. Getting rich is a fight; make no mistake about it, but at least now with Trend Commandments you have a primer that allows you to crack the code of the winners.